First time I've started a thread. Looks like we missed March for screenshots, and it's still to early to make this thread for April, so how about Spring? Here's my desktop. 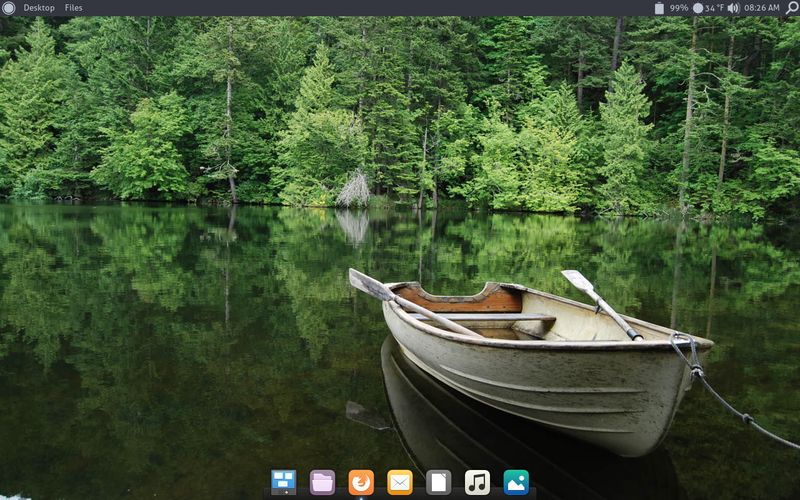 It's my custom Newt OS (built with SUSE Studio, based on Leap 42.1) using a custom desktop environment I put together. Using Moka icons. I'm realy trying to live with KDE after using GNOME for a long time. I like the looks, the functionality but miss the stability and the clean interface of GNOME a bit. ****, that Newt OS looks fine, Newt. Thanks for not only sharing the pic but also sharing the OpenSUSE fork. I seldom hear of OpenSUSE forks, and hearing of another really makes me pleased. The custom desktop looks smooth too. I'll have to check it out some time. I hate to nitpick, but i just wanted to express that i really dislike this 'Spring' themed thread. I have the same issue with many gardening books. The reason is simply because it isn't Spring the same time a year all around the world, unlike months. For instance, it's currently Autumn in Australia. Here is my new desktop. I have been exclusively been using kwin for about four years now, mainly within Kde4, but also in some hybrid environments. Not satisfied with the state of Plasma 5, i have been using OpenSUSE's 13.2 packages within Leap. This had been going well for some months. recently some patches and upgrades refused to install without removing my package locks and thus i had to give in conforming to standard procedure. Having had graphical issues with mixing kwin with gtk based desktop environments i decided to try out the Gnome shell once again. I found that i not only liked it, but i appreciated some of the work habits it got me into. These work habits weren't completely satisfied though. for instance i loved the concept of dynamic worksapces, but was always frustrated that there was never an option or extension to make new windows open in new workspaces with and application exception rule. The shell lead me to become interested in tiling windows which lead to me installing a tiling extension. This is where i lost hope in the Shell. Gnome restrict features and offer a configurable base for shells to be built on. This sounds fantastic to the feature thirsty user because it basically meanse unlimited features. The problems come because every extension is built to work on top of Gnome Shell. The extensions are not designed to work with each other. This is why the extensions website has existed in a state of permanent experimental status. It's not a status, it's a disclaimer hidden under a fancy words to hide a lazy design model. So i left Gnome, and went a step backward to Mate. Here i am using Mate with Xmonad, and it is going well. I am still working my around a couple of minor issues, but so far things are looking great. So good in fact, i am for the first time, happy without Kwin. Kwin is fantastic, but Xmonad is also quite terrific. Mate + Xmonad is plain awesome. Spring is not that good at this time here. There was snow last night til early morning. of the screen is an image taken by me today after I cleared the snow for the doggies to play. Pretty basic plasma5 setup. Only cairo-dock and a couple of plasmoids aren't in a vanilla Leap install. Here is a heavily customized Tumbleweed. It may look cool but I prefer the flat and modern breeze theme. I wish there were more themes for plasma 5. Newer ones. I wish I knew how to make!